Looking for a cheap – but no less sophisticated – used car in Spokane, WA? 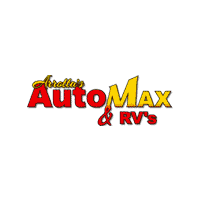 You’ll want to explore Arrotta's Automax & RV’s inventory of 113 used cars and trucks for sale. Used car Spokane drivers know what they want, and here at Arrotta's Automax & RV, we’re proud to accommodate. In the towing department, we’ve got plenty of used Ford F-150s, used Chevy Silverados, and used Toyota Tacomas. And in the car department, we’re proud to offer used cars from Toyota, Nissan, Honda, and more. Explore our 113 used cars and trucks for sale in Spokane. Then, value your trade, calculate your estimated monthly loan payments, and apply for financing from the comfort of your Post Falls, ID home. This mid-size 2002 DODGE DURANGO SLT 4.7L V8 4X4 SUV has a track record of being very tough and durable. This mid-size SUV will have plenty of room to safely transport your kids to the next ballgame or family outing. The performance-tuned suspension of the vehicle handles great on all turns. This unit has quick acceleration. This vehicle is roomy and has a smooth ride. It has amazing acceleration and passing capabilities. This Dodge Durango is fun to drive! The vehicle is designed to handle any icy road condition that Mother Nature can throw at you. Your passengers will feel safe with stable braking and handling on all road conditions. This unit is a versatile vehicle. The vehicle has the durability you can depend on as the miles tick away. When it comes to any auto purchase, there is nothing more important than safety. this 2002 Dodge Durango will protect you and your passengers with innovative safety features. With having reputation for being one of the most dependable vehicles on the road, the vehicle won't let you down. This mid-size SUV has a 4.7 liter 8 Cylinder Engine high output engine. The vehicle has an automatic transmission. When you encounter slick or muddy roads, you can engage the four wheel drive on it and drive with confidence. Enjoy the tried and true gasoline engine in this mid-size SUV. This Dodge Durango emanates grace with its stylish gray exterior. The third row of seating gives you the flexibility to carry all the kids and their friends too. Anti-lock brakes will help you stop in an emergency. This model has air conditioning that feels like a walk-in refrigerator. Lightweight alloy wheels on this mid-size SUV are the perfect compliment to a stylish body. Bring all your music with you along for the ride in this 2002 Dodge Durango with its mp3 player aux input jack. It features cruise control for long trips. This mid-size SUV has front airbags that will protect you and your passenger in the event of an accident. This unit comes with a power adjustable seat to get your seat just right for you. Power seats are a must! Power windows are a must have modern convenience. Expand the cargo capabilities of the Durango by using the installed roof rack. The vehicle features a tilt steering wheel. This 2002 Dodge Durango features tinted windows. The supply is limited! If you are serious about this vehicle, we recommend you move fast. This 1998 FORD RANGER XL 3.0L V6 4X4 TRUCK has a track record of being very tough and durable. The vehicle has durability you can depend on as the miles tick away. This vehicle is designed to handle any icy road condition that Mother Nature can throw at you. Your passengers will feel safe with stable braking and handling on all road conditions. The Ranger is a versatile vehicle. This small pickup comes standard with numerous top of the line safety features. The Ranger has dependability you can trust. Enjoy your driving more! This is one of the most exciting vehicles to drive in its class. The performance tuned suspension of this model handles great on all turns. This vehicle has a 3.0 liter V6 Cylinder Engine high output engine. It has an automatic transmission. The Ranger has four wheel drive capabilities. This Ford Ranger excites both driver and bystanders with a polished red exterior with racy lines. Anti-lock brakes are standard on this vehicle. Icebox AC keeps this Ford Ranger cool all summer long. Lightweight alloy wheels on it are the perfect compliment to a stylish body. Easily set your speed in this model with a state of the art cruise control system. Increase or decrease velocity with the touch of a button. The Ranger is equipped with front airbags. This 1998 Ford Ranger has convenient power windows. The tilt steering wheel in the Ranger allows you to adjust the driving experience to fit you. This model features tinted windows. The supply is limited! If you are serious about this vehicle, we recommend you move fast. This 2007 CHEVROLET COLORADO LT W/1LT 3.7L REAR WHEEL DRIVE PICKUP has a track record of being very tough and durable. The speed and passing capabilities of the vehicle will impress. Reduce your trips to the pump! It is one of the most fuel efficient vehicles in its class. This vehicle will stick to the ground on the sharpest of turns. With exceptional handling, you will enjoy every curve of your favorite roads. This Chevrolet Colorado has amazing acceleration and passing capabilities. Enjoy your driving more! This is one of the most exciting vehicles to drive in its class. With having reputation for being one of the most dependable vehicles on the road, this Chevrolet Colorado won't let you down. When it comes to any auto purchase, there is nothing more important than safety. it will protect you and your passengers with innovative safety features. This model has the durability you can depend on as the miles tick away. This 2007 Chevrolet Colorado is an all-around vehicle, well equipped for anything. Whether it is work or play this is a very functional vehicle that will meet all your requirements. This Chevrolet Colorado has a 3.7 liter 5 Cylinder Engine high output engine. It has an automatic transmission. This unit is rear wheel drive. Enjoy the tried and true gasoline engine in this vehicle. It shines with clean polished lines coated with an elegant white finish. Anti-lock brakes are standard on this vehicle. Icebox AC keeps this model cool all summer long. Lightweight alloy wheels on this unit are the perfect compliment to a stylish body. This Chevrolet Colorado has an aux input for mp3 players. The bed looks great and is protected with a durable surface material. This small pickup features cruise control for long trips. It is equipped with front airbags. An off-road package is installed on this model so you are ready for your four-wheeling best. Power windows are a must have modern convenience. This vehicle features a tilt steering wheel. The traction control system on this vehicle instantly senses tire slippage and executes minute power adjustments to maintain traction at all speeds. This Chevrolet Colorado is a rare vehicle and is hard to find. If you are looking for a tough long lasting vehicle, this 2006 KIA SPORTAGE LX 2.7L V6 4X4 SUV is a great option for you. This Kia Sportage is a great vehicle for families. This vehicle sips fuel. The performance tuned suspension of this model handles great on all turns. This unit is an amazing performer and is sure to turn heads where you go. Has plenty of room for the whole family! That makes this 2006 Kia Sportage perfect for the long summer road trips. The Sportage has amazing acceleration and passing capabilities. Enjoy your driving more! This is one of the most exciting vehicles to drive in its class. This small SUV is designed to handle any icy road condition that Mother Nature can throw at you. Your passengers will feel safe with stable braking and handling on all road conditions. The Sportage is an all-around vehicle, well equipped for anything. Whether it is work or play this is a very functional vehicle that will meet all your requirements. This unit has the durability you can depend on as the miles tick away. When it comes to any auto purchase, there is nothing more important than safety. this 2006 Kia Sportage will protect you and your passengers with innovative safety features. With having reputation for being one of the most dependable vehicles on the road, the Sportage won't let you down. This small SUV has a 2.7 liter V6 Cylinder Engine high output engine. The high-efficiency automatic transmission shifts smoothly and allows you to relax while driving. When you encounter slick or muddy roads, you can engage the four wheel drive on it and drive with confidence. It gleams with a flashy red exterior. Anti-lock brakes are standard on this 2006 Kia Sportage. Icebox AC keeps this unit cool all summer long. Lightweight alloy wheels on this model are the perfect compliment to a stylish body. Bring all your music with you along for the ride in this Kia Sportage with its mp3 player aux input jack. This 2006 Kia Sportage features cruise control for long trips. Electronic Stability Control is one of many advanced safety features on this unit. It has front airbags that will protect you and your passenger in the event of an accident. This 2006 Kia Sportage is equipped with front side curtain airbags. This vehicle has convenient power windows. This small SUV features a tilt steering wheel. It features tinted windows. The traction control system on the Sportage instantly senses tire slippage and executes minute power adjustments to maintain traction at all speeds. The supply is limited! If you are serious about this vehicle, we recommend you move fast. The speed and passing capabilities of this 2007 BUICK LUCERNE V6 CXL 3.8L V6 FWD SEDAN will impress. This vehicle has a track record of being very tough and durable. This large car is a great vehicle for families. This vehicle is fully loaded with all equipment options. This 2007 Buick Lucerne sips fuel. The performance tuned suspension of this Buick Lucerne handles great on all turns. This unit has quick acceleration. This large car is roomy and has a smooth ride. Enjoy your driving more! This is one of the most exciting vehicles to drive in its class. The vehicle handles exceptionally well in the snow and ice. This 2007 Buick Lucerne is a versatile vehicle. This Buick Lucerne has the durability you can depend on as the miles tick away. When it comes to any auto purchase, there is nothing more important than safety. this Buick Lucerne will protect you and your passengers with innovative safety features. With having reputation for being one of the most dependable vehicles on the road, this unit won't let you down. It has a 3.8 liter V6 Cylinder Engine high output engine. The shiftable automatic in the Lucerne gives you to option to control your gears manually without having to give up the convenience of an automatic transmission. Front wheel drive on the vehicle gives you better traction and better fuel economy. Enjoy the tried and true gasoline engine in this large car. This large car is painted with a sleek and sophisticated black color. Anti-lock brakes will help you stop in an emergency. Icebox AC keeps this model cool all summer long. This vehicle is accented with premium quality alloy wheels. This large car has an aux input for mp3 players. This Buick Lucerne features cruise control for long trips. This vehicle is equipped with front airbags. The leather seats in it are a must for buyers looking for comfort, durability, and style. This Buick Lucerne looks sharp with a moon roof. The installed navigation system will keep you on the right path. Keep safely connected while in the Lucerne with OnStar. You may enjoy services like Automatic Crash Response, Navigation, Roadside Assistance, and Hands-Free Calling. A front power adjustable seat increases driver comfort. Power windows are a must have modern convenience. It has satellite radio capabilities. The tilt steering wheel in this Buick Lucerne allows you to adjust the driving experience to fit you. The vehicle features tinted windows. This model comes standard with a state of the art traction control system. This model is a rare vehicle and is hard to find. The speed and passing capabilities of this 2013 FORD FOCUS SE 2.0L FRONT WHEEL DRIVE HATCHBACK will impress. Be the first off the line with the quickness of the Focus. With these performance numbers, you won't be disappointed when you take it for a test drive. This 2013 Ford Focus is roomy and has a smooth ride. The Focus is an amazing performer and is sure to turn heads where you go. This small car will stick to the ground on the sharpest of turns. With exceptional handling, you will enjoy every curve of your favorite roads. This model sips fuel. This Ford Focus has a track record of being very tough and durable. This vehicle is fun to drive! This vehicle handles exceptionally well in the snow and ice. This model has the durability you can depend on as the miles tick away. When it comes to any auto purchase, there is nothing more important than safety. this small car will protect you and your passengers with innovative safety features. With having reputation for being one of the most dependable vehicles on the road, this Ford Focus won't let you down. This unit has a 2.0 liter 4 Cylinder Engine high output engine. The high-efficiency automatic transmission shifts smoothly and allows you to relax while driving. Front wheel drive on this Ford Focus gives you better traction and better fuel economy. The FlexFuel capability of this 2013 Ford Focus allows you to select fuel depending on the price of E85 versus gasoline. This vehicle is painted with a sleek and sophisticated black color. Anti-lock brakes are standard on this vehicle. Icebox AC keeps this Ford Focus cool all summer long. Lightweight alloy wheels on this model are the perfect compliment to a stylish body. It has an aux input for mp3 players. The Focus features cruise control for long trips. The Electronic Stability Control will keep you on your intended path. The vehicle has front airbags that will protect you and your passenger in the event of an accident. This 2013 Ford Focus is equipped with front side curtain airbags. With the keyless entry system on this unit, you can pop the trunk without dropping your bags from the store. This small car has convenient power windows. This unit looks aggressive with a streamlined rear spoiler. The satellite radio system in the Focus gives you access to hundreds of nationwide radio stations with a clear digital signal. This Ford Focus is built for driving comfort with a telescoping wheel. This unit comes standard with a state of the art traction control system. Track your miles and travel time in this 2013 Ford Focus with the trip computer. with XM/Sirus Satellite Radio you are no longer restricted by poor quality local radio stations while driving this model. Anywhere on the planet, you will have hundreds of digital stations to choose from. This model is a rare vehicle and is hard to find. This 2008 MERCEDES-BENZ M-CLASS 3.5L V6 ALL WHEEL DRIVE SUV is a great vehicle for families. If you are looking for a tough long lasting vehicle, this vehicle is a great option for you. The speed and passing capabilities of this vehicle will impress. This vehicle sips fuel. The performance tuned suspension of this 2008 Mercedes-Benz M-Class handles great on all turns. This vehicle has quick acceleration. Has plenty of room for the whole family! That makes the vehicle perfect for the long summer road trips. This mid-size SUV comes loaded with all the features that will meet your needs and then some. Be sure to review the options listed on this page. The vehicle has amazing acceleration and passing capabilities. Be the first off the line with the quickness of the M-Class. Enjoy your driving more! This is one of the most exciting vehicles to drive in its class. This unit has dependability you can trust. This unit comes standard with numerous top of the line safety features. It is as tough as they come. This model is an all-around vehicle, well equipped for anything. Whether it is work or play this is a very functional vehicle that will meet all your requirements. This Mercedes-Benz M-Class handles exceptionally well in the snow and ice. This vehicle has a 3.5 liter V6 Cylinder Engine high output engine. The M-Class has an automatic transmission that includes a manual shifting mode. Conquer any rainy, snowy, or icy road conditions this winter with the all wheel drive system on this model. Enjoy the tried and true gasoline engine in the M-Class. This unit shines with an exquisite metallic silver exterior finish. Anti-lock brakes are standard on it. Icebox AC keeps this model cool all summer long. Lightweight alloy wheels on this model are the perfect compliment to a stylish body. This mid-size SUV has an aux input for mp3 players. Easily set your speed in this Mercedes-Benz M-Class with a state of the art cruise control system. Increase or decrease velocity with the touch of a button. Electronic Stability Control is one of many advanced safety features on the M-Class. The fog lights cut through the weather so you can see what's ahead. This 2008 Mercedes-Benz M-Class has front airbags that will protect you and your passenger in the event of an accident. The vehicle is equipped with front side curtain airbags. It features a HomeLink System. With the keyless entry system on it, you can pop the trunk without dropping your bags from the store. The leather seats in this vehicle are a must for buyers looking for comfort, durability, and style. The vehicle looks sharp with a moonroof. You'll never again be lost in a crowded city or a country region with the navigation system on this model. An off-road package is equipped on this Mercedes-Benz M-Class. Enjoy the convenience of the power liftgate on this unit. A front power adjustable seat increases driver comfort. This 2008 Mercedes-Benz M-Class has convenient power windows. Make room for more passengers, carry extra luggage or your favorite sports gear with the roof rack on this vehicle. The satellite radio system in this Mercedes-Benz M-Class gives you access to hundreds of nationwide radio stations with a clear digital signal. The M-Class has an adjustable telescoping wheel that allows you to achieve a perfect fit for your driving comfort. This 2008 Mercedes-Benz M-Class features tinted windows. The traction control system on the M-Class instantly senses tire slippage and executes minute power adjustments to maintain traction at all speeds. Track your miles and travel time in this unit with the trip computer. The supply is limited! If you are serious about this vehicle, we recommend you move fast. This 2010 DODGE JOURNEY SXT 3.6L ALL WHEEL DRIVE SUV is a great vehicle for families. Has plenty of room for the whole family! That makes this unit perfect for the long summer road trips. This unit has a track record of being very tough and durable. The speed and passing capabilities of this unit will impress. This 2010 Dodge Journey sips fuel. The performance-tuned suspension of the Journey handles great on all turns. This 2010 Dodge Journey is an amazing performer and is sure to turn heads where you go. This Journey has amazing acceleration and passing capabilities. This vehicle is fun to drive! This 2010 Dodge Journey is designed to handle any icy road condition that Mother Nature can throw at you. Your passengers will feel safe with stable braking and handling on all road conditions. The vehicle is a versatile vehicle. The vehicle is as tough as they come. When it comes to any auto purchase, there is nothing more important than safety. it will protect you and your passengers with innovative safety features. It has dependability you can trust. The Journey has a 3.5 liter V6 Cylinder Engine high output engine. The high-efficiency automatic transmission shifts smoothly and allows you to relax while driving. This model is equipped with all-wheel drive. The Journey is equipped with a gasoline engine. It shines with an exquisite metallic silver exterior finish. Anti-lock brakes are standard on the Journey. The vehicle has air conditioning that feels like a walk-in refrigerator. Lightweight alloy wheels on this Dodge Journey are the perfect compliment to a stylish body. Bring all your music with you along for the ride in the Journey with its mp3 player aux input jack. See what's behind you with the backup camera on it. This mid-size SUV features cruise control for long trips. Electronic Stability Control is one of many advanced safety features on the vehicle. The fog lights cut through the weather so you can see what's ahead. The Journey is equipped with front airbags. Stay safe with additional front side curtain airbags. Bluetooth technology is built into the Journey, keeping your hands on the steering wheel and your focus on the road. Quickly unlock the Journey with keyless entry. Help alleviate lower back pain with the driver seat lumbar support in this vehicle. This model looks sharp with a moon roof. This mid-size SUV comes with power adjustable seat to get your seat just right for you. Power seats are a must! The Journey has convenient power windows. It has a premium sound system installed. Nothing dresses up a vehicle better than a set of high-end premium wheels. Make room for more passengers, carry extra luggage or your favorite sports gear with the roof rack on this model. The satellite radio system in this model gives you access to hundreds of nationwide radio stations with a clear digital signal. This model features steering wheel audio controls. This Dodge Journey features a tilt steering wheel. This model features tinted windows. The Journey is equipped with a heavy-duty towing package. This vehicle comes standard with a state of the art traction control system. This unit has a trip computer for clocking your road adventures. The vehicle is a rare vehicle and is hard to find. Reduce your trips to the pump! This 2017 HYUNDAI ACCENT SE 1.6L FRONT WHEEL DRIVE SEDAN is one of the most fuel efficient vehicles in its class. The Accent is designed to handle any icy road condition that Mother Nature can throw at you. Your passengers will feel safe with stable braking and handling on all road conditions. The performance tuned suspension of this unit handles great on all turns. If you are looking for a tough long lasting vehicle, this Sedan is a great option for you. This Hyundai Accent has quick acceleration. This vehicle is fun to drive! This small car has dependability you can trust. When it comes to any auto purchase, there is nothing more important than safety. this Hyundai Accent will protect you and your passengers with innovative safety features. This model has a 1.6 liter 4 Cylinder Engine high output engine. Front wheel drive on the vehicle gives you better traction and better fuel economy. Enjoy the tried and true gasoline engine in this model. This model shines with an exquisite metallic silver exterior finish. Anti-lock brakes will help you stop in an emergency. It has air conditioning that feels like a walk-in refrigerator. This 2017 Hyundai Accent has an aux input for mp3 players. Electronic Stability Control is one of many advanced safety features on this vehicle. This vehicle has front airbags that will protect you and your passenger in the event of an accident. This small car is equipped with front side curtain airbags. Quickly unlock this 2017 Hyundai Accent with keyless entry. Power windows are a must have modern convenience. The satellite radio system in this model gives you access to hundreds of nationwide radio stations with a clear digital signal. This 2017 Hyundai Accent features a tilt steering wheel. Keep yourself cool in the summer with the premium quality tinted windows. This small car comes standard with a state of the art traction control system. with XM/Sirus Satellite Radio you are no longer restricted by poor quality local radio stations while driving this vehicle. Anywhere on the planet, you will have hundreds of digital stations to choose from. This Hyundai Accent is a rare vehicle and is hard to find. This 2013 NISSAN SENTRA SR 1.8L FRONT WHEEL DRIVE SEDAN comes standard with numerous top of the line safety features. If you are looking for a tough long lasting vehicle, this model is a great option for you. This model is a great vehicle for families. This small car sips fuel. The performance tuned suspension of this 2013 Nissan Sentra handles great on all turns. This unit is an amazing performer and is sure to turn heads where you go. Has plenty of room for the whole family! That makes this small car perfect for the long summer road trips. This small car is fun to drive! This 2013 Nissan Sentra handles exceptionally well in the snow and ice. This vehicle is an all-around vehicle, well equipped for anything. Whether it is work or play this is a very functional vehicle that will meet all your requirements. It is as tough as they come. With having reputation for being one of the most dependable vehicles on the road, this model won't let you down. With these performance numbers, you won't be disappointed when you take it for a test drive. This Nissan Sentra has a 1.8 liter 4 Cylinder Engine high output engine. The shiftable automatic in this model gives you to option to control your gears manually without having to give up the convenience of an automatic transmission. The vehicle is front wheel drive. The vehicle is equipped with a gasoline engine. This Nissan Sentra shines with an exquisite metallic silver exterior finish. Anti-lock brakes are standard on this small car. Icebox AC keeps this 2013 Nissan Sentra cool all summer long. Lightweight alloy wheels on this Nissan Sentra are the perfect compliment to a stylish body. Bring all your music with you along for the ride in this model with its mp3 player aux input jack. See what's behind you with the backup camera on it. Easily set your speed in this model with a state of the art cruise control system. Increase or decrease velocity with the touch of a button. The fog lights cut through the weather so you can see what's ahead. It is equipped with front airbags. Stay safe with additional front side curtain airbags. With the keyless entry system on this vehicle, you can pop the trunk without dropping your bags from the store. Power windows are a must have modern convenience. This model is accented with a stylish rear spoiler. The satellite radio system in this 2013 Nissan Sentra gives you access to hundreds of nationwide radio stations with a clear digital signal. The Sentra is built for driving comfort with a telescoping wheel. This 2013 Nissan Sentra features tinted windows. The vehicle comes standard with a state of the art traction control system. Track your miles and travel time in it with the trip computer. This small car is equipped with the latest generation of XM/Sirius Radio. The supply is limited! If you are serious about this vehicle, we recommend you move fast. This 2013 NISSAN ROGUE SL 2.5L ALL WHEEL DRIVE SUV has a track record of being very tough and durable. The Rogue is a great vehicle for families. The speed and passing capabilities of this Nissan Rogue will impress. Reduce your trips to the pump! It is one of the most fuel efficient vehicles in its class. This unit will stick to the ground on the sharpest of turns. With exceptional handling, you will enjoy every curve of your favorite roads. This small SUV has quick acceleration. This model is fully loaded with all equipment options. With these performance numbers, you won't be disappointed when you take it for a test drive. Enjoy your driving more! This is one of the most exciting vehicles to drive in its class. The Rogue handles exceptionally well in the snow and ice. This 2013 Nissan Rogue is an all-around vehicle, well equipped for anything. Whether it is work or play this is a very functional vehicle that will meet all your requirements. The vehicle is as tough as they come. This unit comes standard with numerous top of the line safety features. This 2013 Nissan Rogue has dependability you can trust. This small SUV has a 2.5 liter 4 Cylinder Engine high output engine. This small SUV has an automatic transmission. Conquer any rainy, snowy, or icy road conditions this winter with the all wheel drive system on this unit. Enjoy the tried and true gasoline engine in the Rogue. This small SUV shines with an exquisite metallic silver exterior finish. Anti-lock brakes will help you stop in an emergency. This unit has air conditioning that feels like a walk-in refrigerator. Lightweight alloy wheels on the Rogue are the perfect compliment to a stylish body. Bring all your music with you along for the ride in the Rogue with its mp3 player aux input jack. Engulf yourself with the crystal clear sound of a BOSE sound system in it. Easily set your speed in this small SUV with a state of the art cruise control system. Increase or decrease velocity with the touch of a button. It is equipped with front airbags. The Rogue is equipped with front side curtain airbags. This model features a hands-free Bluetooth phone system. Quickly unlock this 2013 Nissan Rogue with keyless entry. The leather seats are soft and supportive on this small SUV. With the adjustable lumbar support in the Rogue, your back will love you. This model looks sharp with a moon roof. You'll never again be lost in a crowded city or a country region with the navigation system on this unit. This Nissan Rogue has convenient power windows. This small SUV is accented with a stylish rear spoiler. This Nissan Rogue has satellite radio capabilities. This small SUV features steering wheel audio controls. The tilt steering wheel in this unit allows you to adjust the driving experience to fit you. The traction control system on the Rogue instantly senses tire slippage and executes minute power adjustments to maintain traction at all speeds. This vehicle has a trip computer for clocking your road adventures. with XM/Sirus Satellite Radio you are no longer restricted by poor quality local radio stations while driving this small SUV. Anywhere on the planet, you will have hundreds of digital stations to choose from. The supply is limited! If you are serious about this vehicle, we recommend you move fast. This 2010 AUDI A4 2.0T PREMIUM 2.0L FRONT WHEEL DRIVE has amazing acceleration and passing capabilities. Reduce your trips to the pump! It is one of the most fuel efficient vehicles in its class. It will have plenty of room to safely transport your kids to the next ballgame or family outing. This Audi A4 has a track record of being very tough and durable. The vehicle will stick to the ground on the sharpest of turns. With exceptional handling, you will enjoy every curve of your favorite roads. This vehicle has quick acceleration. Has plenty of room for the whole family! That makes the vehicle perfect for the long summer road trips. This unit is fully loaded with all equipment options. This Audi A4 is fun to drive! This vehicle is designed to handle any icy road condition that Mother Nature can throw at you. Your passengers will feel safe with stable braking and handling on all road conditions. This small car is an all-around vehicle, well equipped for anything. Whether it is work or play this is a very functional vehicle that will meet all your requirements. The vehicle has the durability you can depend on as the miles tick away. This unit comes standard with numerous top of the line safety features. This Audi A4 has dependability you can trust. This Audi A4 has a 2.0 liter 4 Cylinder Engine high output engine. The shiftable automatic in this 2010 Audi A4 gives you to option to control your gears manually without having to give up the convenience of an automatic transmission. This model is front wheel drive. This 2010 Audi A4 is equipped with a gasoline engine. This unit shines with an exquisite metallic silver exterior finish. Anti-lock brakes will help you stop in an emergency. Icebox AC keeps this vehicle cool all summer long. Lightweight alloy wheels on this unit are the perfect compliment to a stylish body. This Audi A4 has an aux input for mp3 players. Maintaining a stable interior temperature in it is easy with the climate control system. Easily set your speed in this vehicle with a state of the art cruise control system. Increase or decrease velocity with the touch of a button. The Electronic Stability Control will keep you on your intended path. The fog lights cut through the weather so you can see what's ahead. This unit is equipped with front airbags. Stay safe with additional front side curtain airbags. This unit features a hands-free Bluetooth phone system. With the keyless entry system on the A4, you can pop the trunk without dropping your bags from the store. The leather seats in this unit are a must for buyers looking for comfort, durability, and style. This 2010 Audi A4 looks sharp with a moon roof. A front power adjustable seat increases driver comfort. This model has convenient power windows. This small car has satellite radio capabilities. This Audi A4 has an adjustable telescoping wheel that allows you to achieve a perfect fit for your driving comfort. This model comes standard with a state of the art traction control system. It is a rare vehicle and is hard to find. If you are looking for a tough long lasting vehicle, this 2011 SUBARU OUTBACK 2.5I LIMITED PWR MOON AWD WAGON is a great option for you. This 2011 Subaru Outback will have plenty of room to safely transport your kids to the next ballgame or family outing. Reduce your trips to the pump! It is one of the most fuel efficient vehicles in its class. The performance-tuned suspension of the Outback handles great on all turns. This unit is an amazing performer and is sure to turn heads where you go. The Outback is roomy and has a smooth ride. This 2011 Subaru Outback is fully loaded with all equipment options. With these performance numbers, you won't be disappointed when you take it for a test drive. Enjoy your driving more! This is one of the most exciting vehicles to drive in its class. The Outback is designed to handle any icy road condition that Mother Nature can throw at you. Your passengers will feel safe with stable braking and handling on all road conditions. This 2011 Subaru Outback is a versatile vehicle. This 2011 Subaru Outback has the durability you can depend on as the miles tick away. This unit comes standard with numerous top of the line safety features. This Subaru Outback has dependability you can trust. This unit has a 2.5 liter 4 Cylinder Engine high output engine. This 2011 Subaru Outback has an automatic transmission that includes a manual shifting mode. Conquer any rainy, snowy, or icy road conditions this winter with the all wheel drive system on this mid-size SUV. Enjoy the tried and true gasoline engine in the vehicle. This unit excites both driver and bystanders with a polished red exterior with racy lines. Anti-lock brakes are standard on this vehicle. Icebox AC keeps the Outback cool all summer long. Lightweight alloy wheels on this vehicle are the perfect compliment to a stylish body. This mid-size SUV has an aux input for mp3 players. See what's behind you with the backup camera on this model. Set the temperature exactly where you are most comfortable in this vehicle. The fan speed and temperature will automatically adjust to maintain your preferred zone climate. This mid-size SUV features cruise control for long trips. This unit has fog lights for all weather conditions. This 2011 Subaru Outback has front airbags that will protect you and your passenger in the event of an accident. Stay safe with additional front side curtain airbags. Bluetooth technology is built into this Subaru Outback, keeping your hands on the steering wheel and your focus on the road. Enjoy the heated seats in it you will never buy a vehicle without them. Everyone loves the comfort of having a warm seat on those cold winter days. Quickly unlock this 2011 Subaru Outback with keyless entry. The leather seats are soft and supportive on this model. With the adjustable lumbar support in the vehicle, your back will love you. This 2011 Subaru Outback looks sharp with a moon roof. The installed navigation system will keep you on the right path. A front power adjustable seat increases driver comfort. Power windows are a must have modern convenience. This vehicle is accented with a stylish rear spoiler. Make room for more passengers, carry extra luggage or your favorite sports gear with the roof rack on this mid-size SUV. The satellite radio system in this Subaru Outback gives you access to hundreds of nationwide radio stations with a clear digital signal. This model has an adjustable telescoping wheel that allows you to achieve a perfect fit for your driving comfort. This Subaru Outback comes standard with a state of the art traction control system. This Subaru Outback has a trip computer for clocking your road adventures. The Outback is equipped with the latest generation of XM/Sirius Radio. The supply is limited! If you are serious about this vehicle, we recommend you move fast. This 2017 HYUNDAI ACCENT SE 1.6L FRONT WHEEL DRIVE SEDAN has a track record of being very tough and durable. Reduce your trips to the pump! It is one of the most fuel efficient vehicles in its class. The Accent will stick to the ground on the sharpest of turns. With exceptional handling, you will enjoy every curve of your favorite roads. This vehicle has quick acceleration. It has amazing acceleration and passing capabilities. This vehicle is fun to drive! This small car has dependability you can trust. This unit comes standard with numerous top of the line safety features. This Hyundai Accent is as tough as they come. This 2017 Hyundai Accent is an all-around vehicle, well equipped for anything. Whether it is work or play this is a very functional vehicle that will meet all your requirements. The vehicle handles exceptionally well in the snow and ice. This unit has a 1.6 liter 4 Cylinder Engine high output engine. The shiftable automatic in this unit gives you to option to control your gears manually without having to give up the convenience of an automatic transmission. Front wheel drive on it gives you better traction and better fuel economy. It excites both driver and bystanders with a polished red exterior with racy lines. Anti-lock brakes are standard on this 2017 Hyundai Accent. Icebox AC keeps the vehicle cool all summer long. Bring all your music with you along for the ride in this vehicle with its mp3 player aux input jack. Electronic Stability Control is one of many advanced safety features on this vehicle. The fog lights cut through the weather so you can see what's ahead. This Hyundai Accent has front airbags that will protect you and your passenger in the event of an accident. It is equipped with front side curtain airbags. No repair kit necessary; this small car includes a full-size spare tire. With the keyless entry system on this vehicle, you can pop the trunk without dropping your bags from the store. This model has convenient power windows. The vehicle has satellite radio capabilities. This small car features a tilt steering wheel. This vehicle features tinted windows. This Hyundai Accent comes standard with a state of the art traction control system. with XM/Sirus Satellite Radio you are no longer restricted by poor quality local radio stations while driving the Accent. Anywhere on the planet, you will have hundreds of digital stations to choose from. The supply is limited! If you are serious about this vehicle, we recommend you move fast. This 2014 TOYOTA CAMRY LE 2.5L FRONT WHEEL DRIVE SEDAN shines with an exquisite metallic silver exterior finish. If you are looking for a tough long lasting vehicle, this the vehicle is a great option for you. It will have plenty of room to safely transport your kids to the next ballgame or family outing. The performance-tuned suspension of the vehicle handles great on all turns. This vehicle sips fuel. The vehicle has quick acceleration. Has plenty of room for the whole family! That makes this mid-size car perfect for the long summer road trips. With these performance numbers, you won't be disappointed when you take it for a test drive. The vehicle is fun to drive! This vehicle handles exceptionally well in the snow and ice. This Toyota Camry is a versatile vehicle. It is as tough as they come. This vehicle comes standard with numerous top of the line safety features. This Toyota Camry has dependability you can trust. It has a 2.5 liter 4 Cylinder Engine high output engine. The high-efficiency automatic transmission shifts smoothly and allows you to relax while driving. It is front wheel drive. Anti-lock brakes are standard on the Camry. The vehicle has air conditioning that feels like a walk-in refrigerator. This vehicle has an aux input for mp3 players. See what's behind you with the backup camera on this vehicle. The vehicle features cruise control for long trips. Electronic Stability Control is one of many advanced safety features on this vehicle. This model has front air bags that will protect you and your passenger in the event of an accident. Stay safe with additional front side curtain airbags. This mid-size car features a hands-free Bluetooth phone system. Quickly unlock this model with keyless entry. A moon roof lets more light into the vehicle and makes the interior feel more spacious. You'll never again be lost in a crowded city or a country region with the navigation system on the Camry. A front power adjustable seat increases driver comfort. This mid-size car has convenient power windows. Enjoy your music even more with the premium sound system in the vehicle. The premium wheels make the Camry stand out from the crowd. This unit is accented with a stylish rear spoiler. The satellite radio system in it gives you access to hundreds of nation-wide radio stations with a clear digital signal. This 2014 Toyota Camry has an adjustable telescoping wheel that allows you to achieve a perfect fit for your driving comfort. Keep yourself cool in the summer with the premium quality tinted windows. The traction control system on this 2014 Toyota Camry instantly senses tire slippage and executes minute power adjustments to maintain traction at all speeds. This model is a rare vehicle and is hard to find. This 2015 VOLKSWAGEN JETTA 2.0L S MANUAL 2.0L FWD SEDAN has a track record of being very tough and durable. It will have plenty of room to safely transport your kids to the next ballgame or family outing. Reduce your trips to the pump! It is one of the most fuel efficient vehicles in its class. The vehicle is fun to drive! This model will stick to the ground on the sharpest of turns. With exceptional handling, you will enjoy every curve of your favorite roads. This vehicle is an amazing performer and is sure to turn heads where you go. The Jetta is roomy and has a smooth ride. This 2015 Volkswagen Jetta has amazing acceleration and passing capabilities. It is designed to handle any icy road condition that Mother Nature can throw at you. Your passengers will feel safe with stable braking and handling on all road conditions. This Volkswagen Jetta is an all-around vehicle, well equipped for anything. Whether it is work or play this is a very functional vehicle that will meet all your requirements. The Jetta is as tough as they come. This 2015 Volkswagen Jetta comes standard with numerous top of the line safety features. The vehicle has dependability you can trust. This small car has a 2.0 liter 4 Cylinder Engine high output engine. This model comes with a manual transmission. Front wheel drive on this model gives you better traction and better fuel economy. Enjoy the tried and true gasoline engine in it. The Jetta is painted with a sleek and sophisticated black color. Anti-lock brakes are standard on this unit. Icebox AC keeps this vehicle cool all summer long. Lightweight alloy wheels on this model are the perfect compliment to a stylish body. Bring all your music with you along for the ride in the vehicle with its mp3 player aux input jack. Protect this Volkswagen Jetta from unwanted accidents with a cutting edge backup camera system. This vehicle features cruise control for long trips. Electronic Stability Control is one of many advanced safety features on this 2015 Volkswagen Jetta. This unit has front airbags that will protect you and your passenger in the event of an accident. This Volkswagen Jetta is equipped with front side curtain airbags. Bluetooth technology is built into this model, keeping your hands on the steering wheel and your focus on the road. With the keyless entry system on this vehicle, you can pop the trunk without dropping your bags from the store. This vehicle has convenient power windows. This small car has an adjustable telescoping wheel that allows you to achieve a perfect fit for your driving comfort. Keep yourself cool in the summer with the premium quality tinted windows. The traction control system on this small car instantly senses tire slippage and executes minute power adjustments to maintain traction at all speeds. The supply is limited! If you are serious about this vehicle, we recommend you move fast. This 2012 SUBARU FORESTER 2.5X ALL WHEEL DRIVE SUV has a track record of being very tough and durable. This model will have plenty of room to safely transport your kids to the next ballgame or family outing. The speed and passing capabilities of this model will impress. Reduce your trips to the pump! It is one of the most fuel efficient vehicles in its class. The performance-tuned suspension of the Forester handles great on all turns. The vehicle has quick acceleration. Has plenty of room for the whole family! That makes this vehicle perfect for the long summer road trips. It has amazing acceleration and passing capabilities. This model is fun to drive! This model handles exceptionally well in the snow and ice. It is a versatile vehicle. This model has the durability you can depend on as the miles tick away. When it comes to any auto purchase, there is nothing more important than safety. it will protect you and your passengers with innovative safety features. With having reputation for being one of the most dependable vehicles on the road, this 2012 Subaru Forester won't let you down. This unit has a 2.5 liter 4 Cylinder Engine high output engine. This 2012 Subaru Forester has an automatic transmission that includes a manual shifting mode. The Forester is equipped with all-wheel drive. The vehicle is equipped with a gasoline engine. The vehicle has an elegant black exterior finish. Anti-lock brakes will help you stop in an emergency. This unit has air conditioning that feels like a walk-in refrigerator. Bring all your music with you along for the ride in the Forester with its mp3 player aux input jack. This Subaru Forester features cruise control for long trips. This model has front airbags that will protect you and your passenger in the event of an accident. This unit is equipped with front side curtain airbags. Quickly unlock this vehicle with keyless entry. This 2012 Subaru Forester has convenient power windows. The satellite radio system in this model gives you access to hundreds of nationwide radio stations with a clear digital signal. The tilt steering wheel in it allows you to adjust the driving experience to fit you. The traction control system on this small SUV instantly senses tire slippage and executes minute power adjustments to maintain traction at all speeds. This small SUV is equipped with the latest generation of XM/Sirius Radio. The supply is limited! If you are serious about this vehicle, we recommend you move fast. The speed and passing capabilities of this 2012 CHEVROLET CAMARO 2LS 3.6L V6 RWD SPORTSCAR will impress. Be the first off the line with the quickness of this unit. This Chevrolet Camaro has amazing acceleration and passing capabilities. Reduce your trips to the pump! It is one of the most fuel efficient vehicles in its class. This unit will stick to the ground on the sharpest of turns. With exceptional handling, you will enjoy every curve of your favorite roads. This 2012 Chevrolet Camaro is an amazing performer and is sure to turn heads where you go. Enjoy your driving more! This is one of the most exciting vehicles to drive in its class. When it comes to any auto purchase, there is nothing more important than safety. it will protect you and your passengers with innovative safety features. The vehicle has dependability you can trust. The vehicle has a 3.6 liter V6 Cylinder Engine high output engine. The Camaro has an automatic transmission. This 2012 Chevrolet Camaro is rear wheel drive. Enjoy the tried and true gasoline engine in this model. Anti-lock brakes will help you stop in an emergency. This 2012 Chevrolet Camaro has air conditioning that feels like a walk-in refrigerator. Lightweight alloy wheels on this unit are the perfect compliment to a stylish body. Bring all your music with you along for the ride in this Chevrolet Camaro with its mp3 player aux input jack. Easily set your speed in the Camaro with a state of the art cruise control system. Increase or decrease velocity with the touch of a button. Electronic Stability Control is one of many advanced safety features on the Camaro. This Chevrolet Camaro has front airbags that will protect you and your passenger in the event of an accident. Stay safe with additional front side curtain airbags. Bluetooth technology is built into it, keeping your hands on the steering wheel and your focus on the road. Quickly unlock this 2012 Chevrolet Camaro with keyless entry. Keep safely connected while in this unit with OnStar. You may enjoy services like Automatic Crash Response, Navigation, Roadside Assistance, and Hands-Free Calling. This Chevrolet Camaro has convenient power windows. The Camaro has satellite radio capabilities. This vehicle has an adjustable telescoping wheel that allows you to achieve a perfect fit for your driving comfort. This small car comes standard with a state of the art traction control system. This Chevrolet Camaro is equipped with the latest generation of XM/Sirius Radio. The supply is limited! If you are serious about this vehicle, we recommend you move fast. If you are looking for a tough long lasting vehicle, this 2011 Honda CR-V EX 2.4L 4X4 SUV is a great option for you. This Honda CR-V is a great vehicle for families. This 2011 Honda CR-V sips fuel. This unit will stick to the ground on the sharpest of turns. With exceptional handling, you will enjoy every curve of your favorite roads. This model is an amazing performer and is sure to turn heads where you go. Has plenty of room for the whole family! That makes this model perfect for the long summer road trips. This Honda CR-V comes loaded with all the features that will meet your needs and then some. Be sure to review the options listed on this page. Enjoy your driving more! This is one of the most exciting vehicles to drive in its class. With these performance numbers, you won't be disappointed when you take it for a test drive. This small SUV is designed to handle any icy road condition that Mother Nature can throw at you. Your passengers will feel safe with stable braking and handling on all road conditions. The CR-V is a versatile vehicle. The vehicle is as tough as they come. When it comes to any auto purchase, there is nothing more important than safety. this unit will protect you and your passengers with innovative safety features. With having reputation for being one of the most dependable vehicles on the road, this small SUV won't let you down. This unit has a 2.4 liter 4 Cylinder Engine high output engine. The vehicle has an automatic transmission. This vehicle has four wheel drive capabilities. Enjoy the tried and true gasoline engine in the CR-V. The CR-V has an elegant black exterior finish. Anti-lock brakes are standard on it. Icebox AC keeps the vehicle cool all summer long. This Honda CR-V is accented with premium quality alloy wheels. The CR-V has an aux input for mp3 players. A compact disc changer is included in this Honda CR-V. Easily set your speed in it with a state of the art cruise control system. Increase or decrease velocity with the touch of a button. The Electronic Stability Control will keep you on your intended path. The CR-V has front airbags that will protect you and your passenger in the event of an accident. This model is equipped with front side curtain airbags. Quickly unlock this unit with keyless entry. A moon roof lets more light into this unit and makes the interior feel more spacious. This 2011 Honda CR-V has convenient power windows. This vehicle features a tilt steering wheel. Keep yourself cool in the summer with the premium quality tinted windows. This unit comes standard with a state of the art traction control system. This 2011 Honda CR-V is a rare vehicle and is hard to find. Know how much money you can spend. Perhaps you’re budget-conscious; in this case, a car under $10,000 or used car $20,000 might be best for you. Did the previous owner have pets? Did the previous owner smoke? Will the vehicle meet WA regulatory requirements? Does the vehicle come with a thorough vehicle history report? For what reason is the vehicle priced at this rate? Schedule a test drive around Spokane. Be sure to examine the brake and accelerator pedals, the center console, the dash and lights, and more. Don’t hesitate to ask questions! There you have it! There’s our easy-to-read list of a few things to look for in a used car. If you have any questions, or if you’d like to buy one of our 113 used cars or trucks, simply contact us today.